Today dawned beautifully clear and pleasant! A short drive along Flat Top Road offered lots of pretty views of the surrounding ridges. 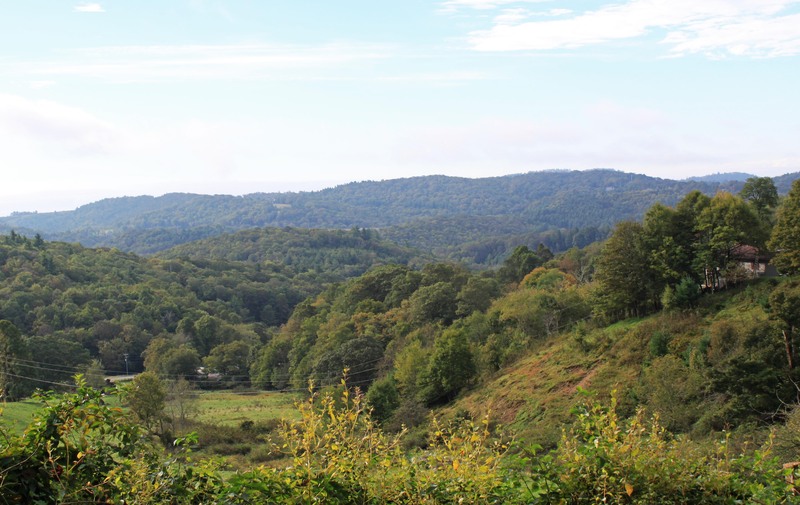 The road goes up behind Appalachian Ski Mountain, and connects to more rural roads that lead to Boone. It’s a highly recommended route to enjoy foliage views once the season sets in. As you can see from today’s photo, green is still the dominant color, though a few hints of yellow can be seen as the leaves get ready to shift to warmer colors.